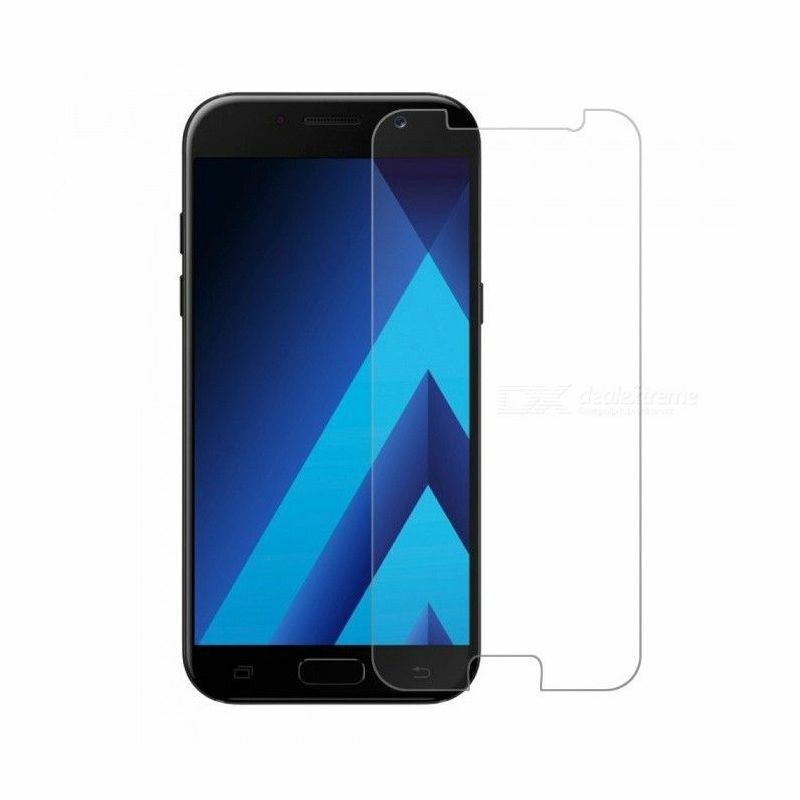 Samsung Galaxy A7 2017 Quality protective tempered glass film. This protective film can offer your smartphone an excellent protection while maintaining 99.99% transparency. What does 9H mean? It is an index of hardness ranging from 1 to 10. "H" Meaning hardness. The higher the index is, the stronger the material will resist scratches and other. 10H being the diamond material. This means that our tempered glass film will not affect the image quality of your smartphone screen. With our tempered glass film, you can keep using the touchscreen of your smartphone without being disturbed by it. Thanks to the coating of our tempered glass films, no more fingerprint marks after several minutes of use. It is a coating that lets slip all traces of liquid. 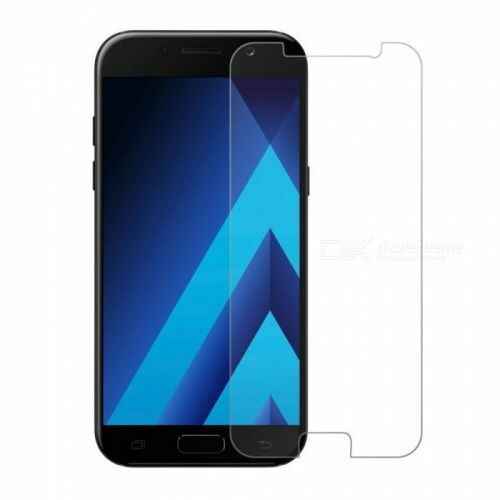 2.5D tempered glass films take up only the flat part of the screen but whose edges are rounded as described below. This type of film is ideal if you already have a case that goes up to the screen edges. While 3D tempered glass films are films rounding off the screen's curves. This kind of tempered glass film is not compatible with the case rising on the screen edges. This could loosen and damage the tempered glass film. Our tempered glass films have their edges rounded. This prevents it from breaking or crumbling over time. Warning: We are talking about the tempered glass edges. This does not mean that it will marry your smartphone rounded edges. Clean the screen with the isopropylic alcohol cloth. Clean the screen with the dry cloth. (optional) Use the dust removing stickers to remove any remaining dust. Place the tempered glass film on the screen. Press the center of it and let it go. Use the dry cloth to remove all remaining bubbles.